Police are looking for sightings of a Romanian van linked to thefts from a skip in a front garden in Folkingham. According to PCSO Sandra Brommell of Bourne and Billingborough Neighbourhood Policing Team, the incident happened at around 2pm yesterday (Thursday September 27) in West Street, Folkingham. 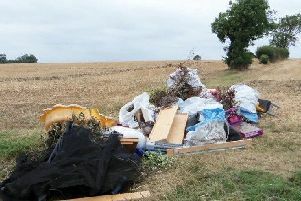 She stated: “Two males were seen taking items from a skip located in a front garden. This is believed to be without the home owner’s permission. Call police on 101 quoting incident 222 of September 27 if you see this vehicle or 999 if you see a crime taking place.